How New Node.js Features Are Helping Native Addons Be (Almost) On Par With JS Modules — A neat look at how native add-ons, a part of Node since the beginning, have gotten better thanks to N-API and support for module unloading and loading native add-ons more than once. Choosing The Right Node.js Framework: Next, Nuxt, Nest? — A handy examination of the differences between three popular server-side rendering frameworks. 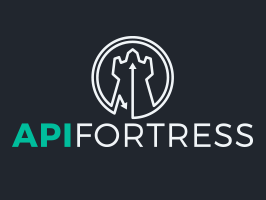 Release APIs Faster With Less Risk — Accelerate releases 35%: Involve the test team sooner. Work on one platform across all departments: save test code alongside API code. Learn more with our Developer Automation Flow. Testing Node's Experimental New Performance Hooks — A practical look, with examples, of using the experimental performance hooks currently available in Node 11.13. Nightwatch: Automated Webapp End-to-End Testing Framework — Powered by Node and the W3C Webdriver, Nightwatch provides a structure for performing automated browser testing. GitHub repo and example scripts. ▶ Getting Started with Node on Google Cloud Functions — A really nice introduction to Google Cloud Functions (Google’s answer to AWS Lambda, essentially) using both the Web-based console and the gcloud CLI tools. If you're on the serverless train, check out our serverless newsletter! 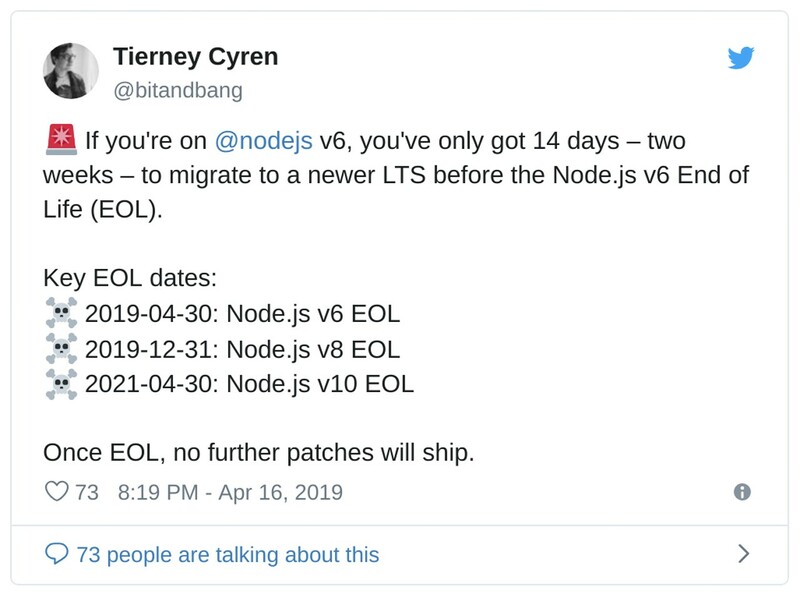 Node v8.16.0 (LTS) Released — Two minor changes to n-api for the (almost) legacy Node release. file-type: Detect The File Type of a Buffer/Uint8Array — For example, give it the raw data from a PNG file, and it’ll tell you it’s a PNG file, plus its MIME type. Become a Manifold Partner and Reach More Developers — Connect with the fastest growing developer communities on the planet. deploy-node-app: Deploy A Node App to Kubernetes with a Single Command — Uses Docker and kubectl behind the scenes and supports any Kubernetes cluster. node-mssql: A Microsoft SQL Server Client for Node — Works cross-platform. limitrr: Rate Limiting and Response Delaying using Redis — Includes middleware functions for Express. Envalid: Environment Variable Validation and Access — Lets you enforce that you want certain environment variables present and what sort of data they should contain.